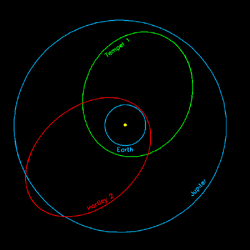 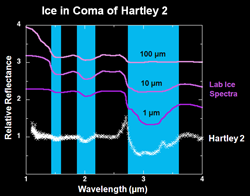 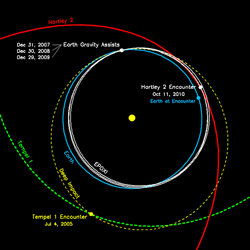 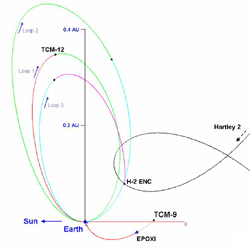 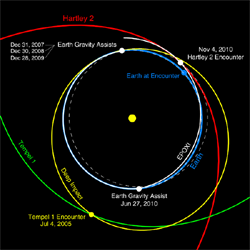 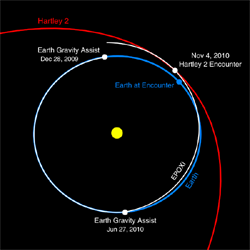 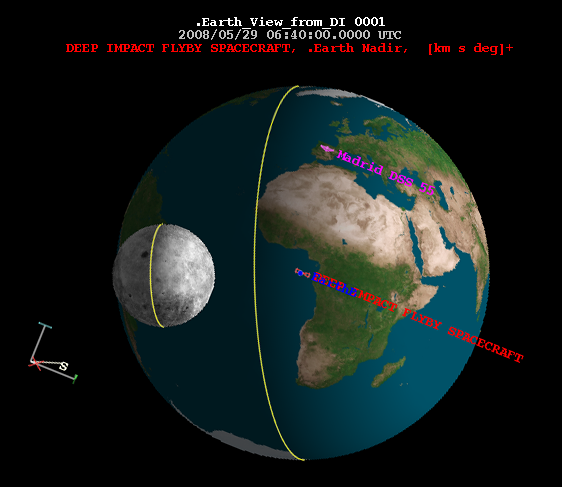 Deep Impact Flyby S/C Declared Lost On Monday, 16 Sept, after considerable effort transmitting low-level hardware commands, we determined that there were no other plausible scenarios under which we could recover command and control of the spacecraft. 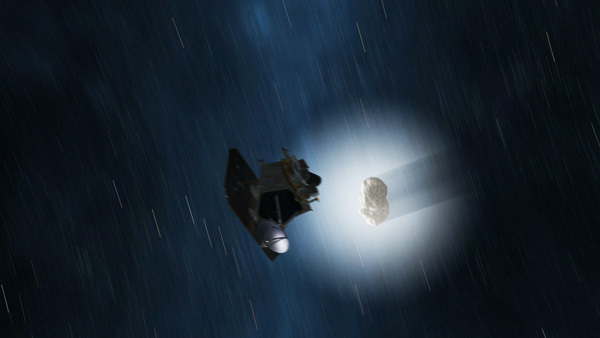 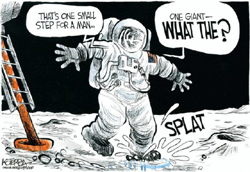 We recommended that NASA declare the mission lost. 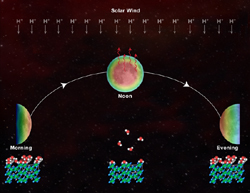 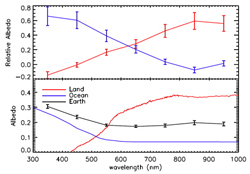 That declaration was announced by NASA on Thursday, 19 Sept.
Science results from EPOXI and post-EPOXI will continue to be posted here on the EPOXI mission website. 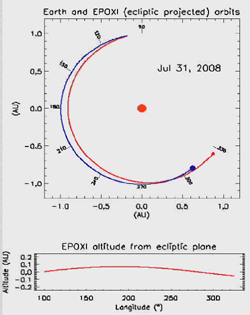 So long as we have a server, we will keep this EPOXI mission website "alive" for reference. 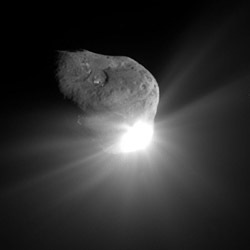 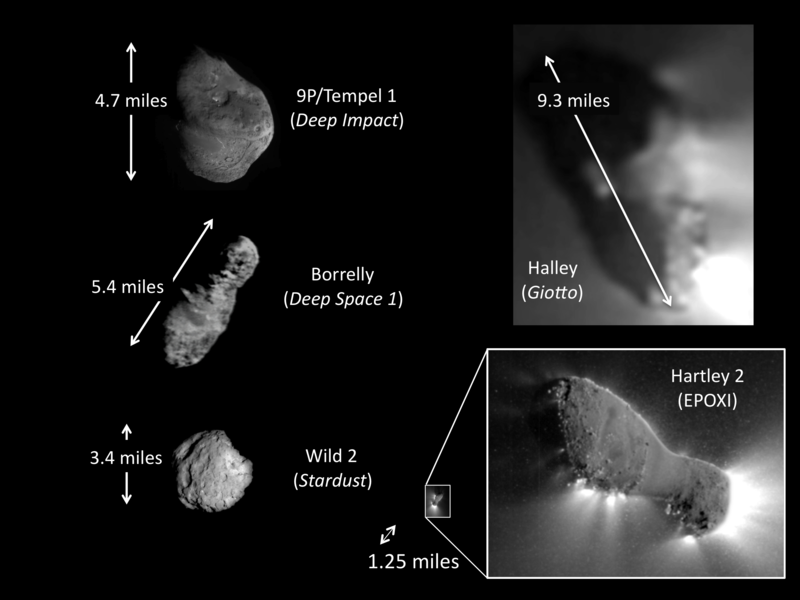 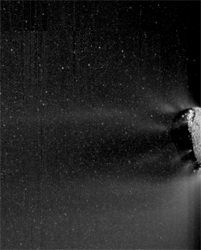 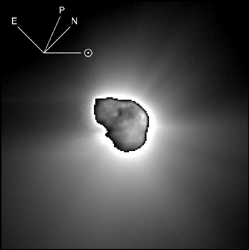 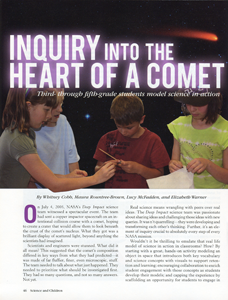 The EPOXI EPO team had an article "Inquiry into the Heart of a Comet" published in the NSTA's Feb 2011 Science & Children magazine. 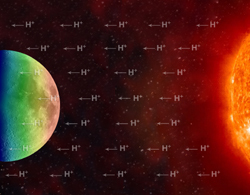 A team at NASA's Jet Propulsion Laboratory is using computer gaming technology to immerse the general public and mission personnel in our solar system and beyond. 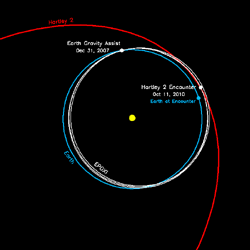 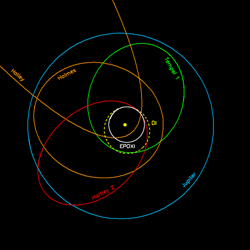 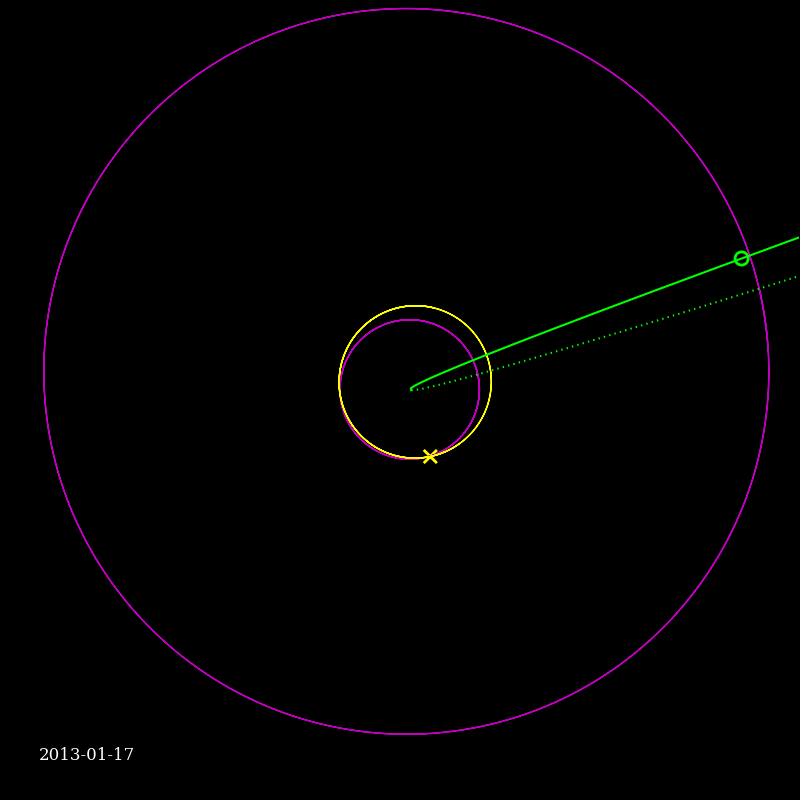 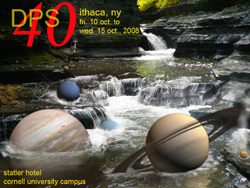 "Eyes on the Solar System," is a cross-platform, realtime, 3D-interactive application that runs inside a Web browser. 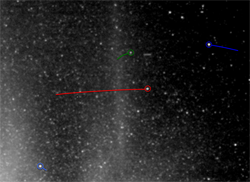 Updates about how the mission is going. 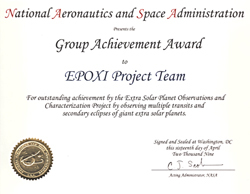 Visit with the many scientists, engineers, students, outreach specialists and others who are making the EPOXI projects a success! 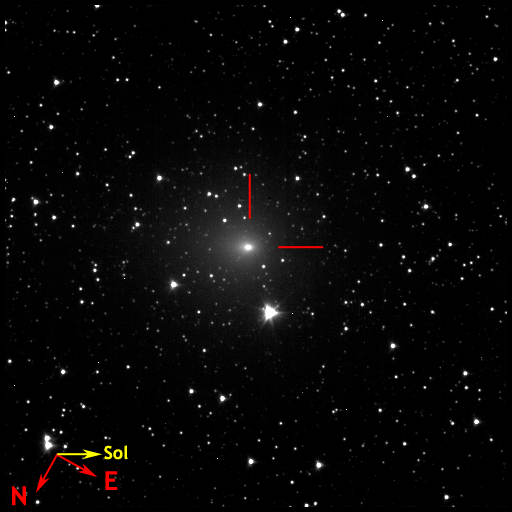 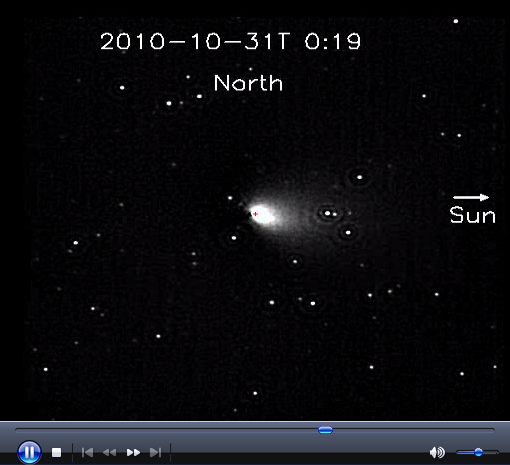 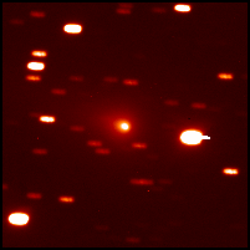 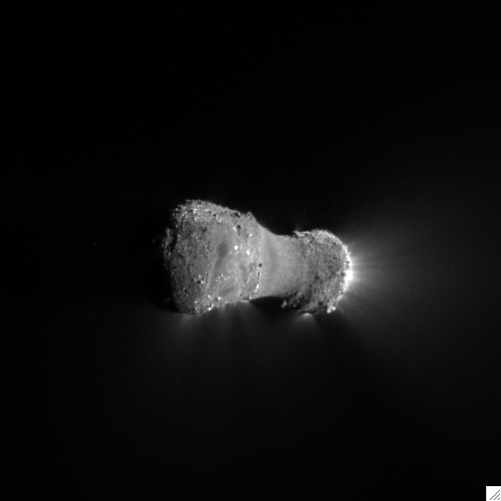 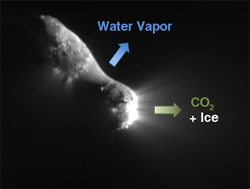 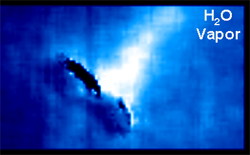 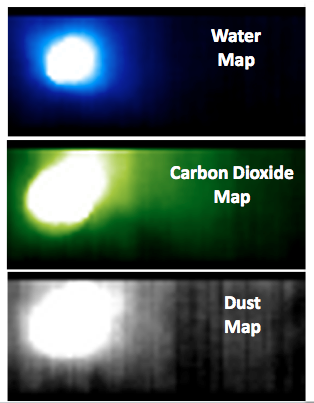 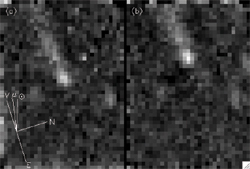 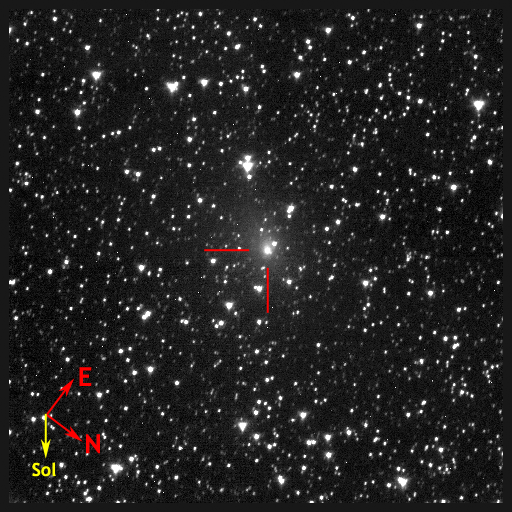 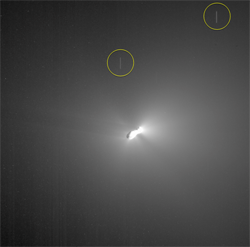 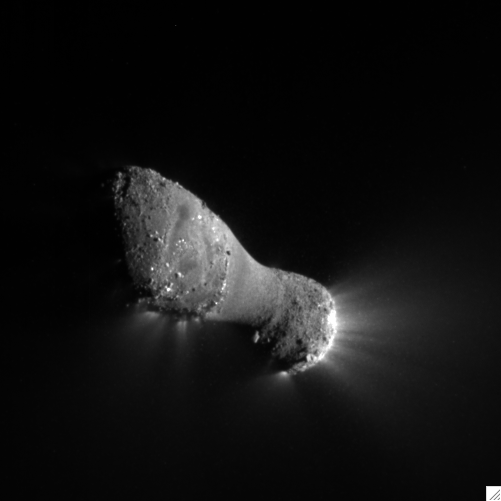 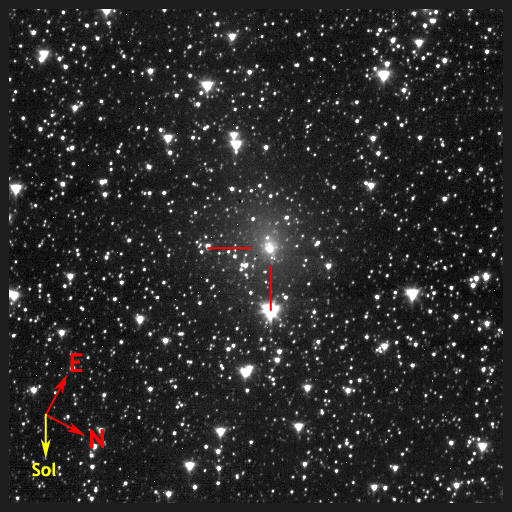 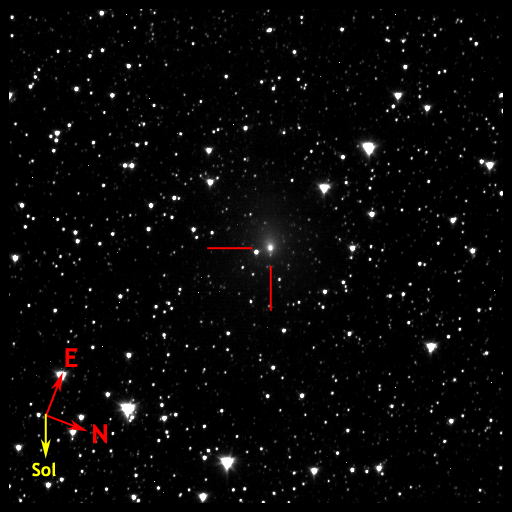 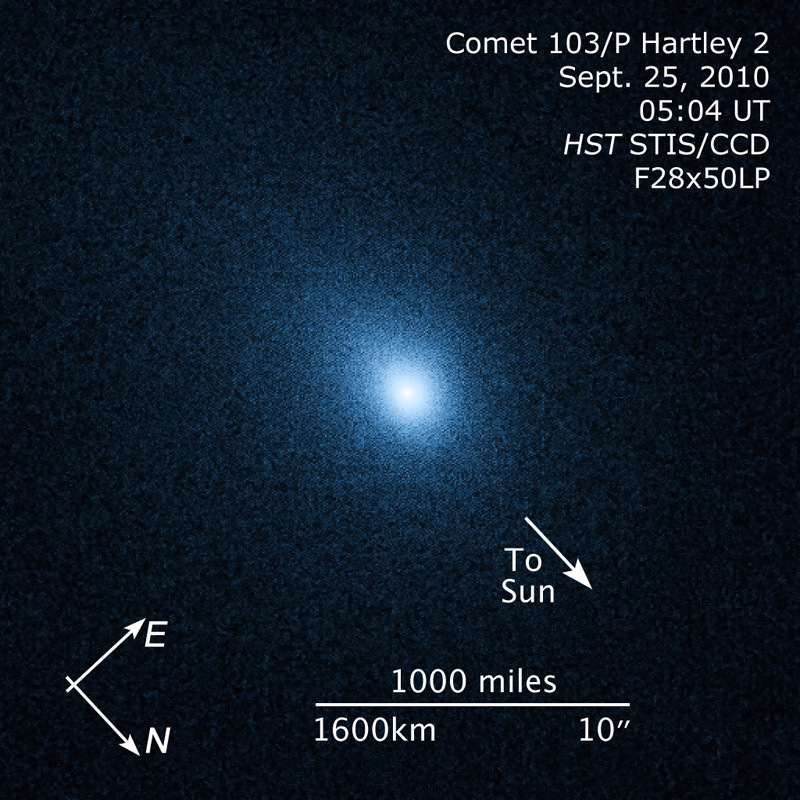 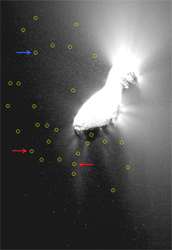 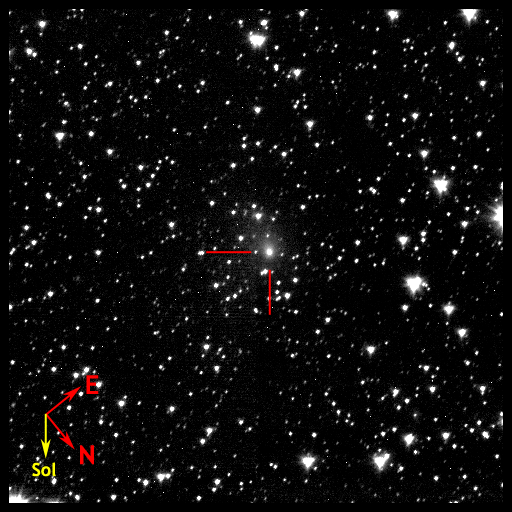 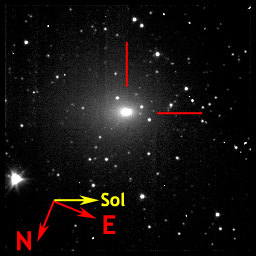 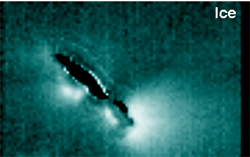 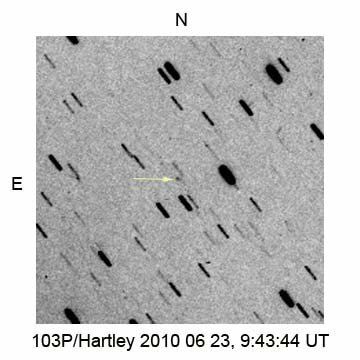 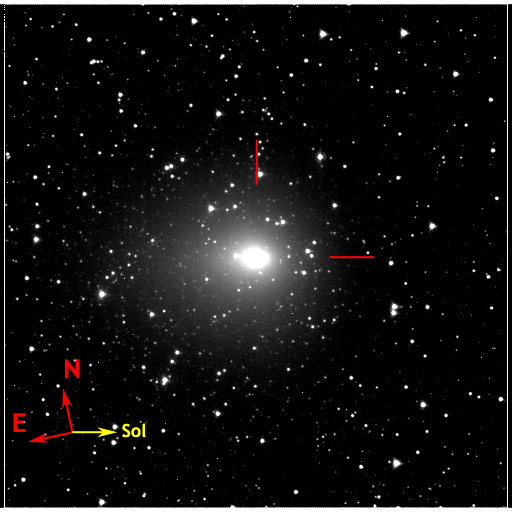 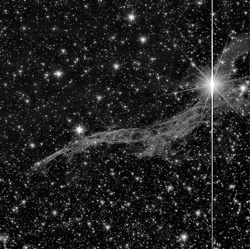 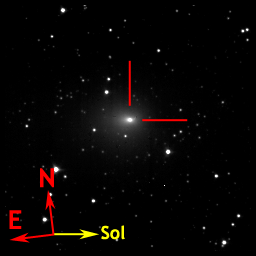 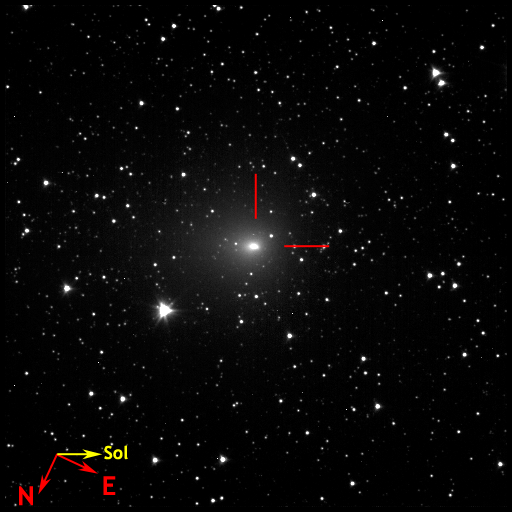 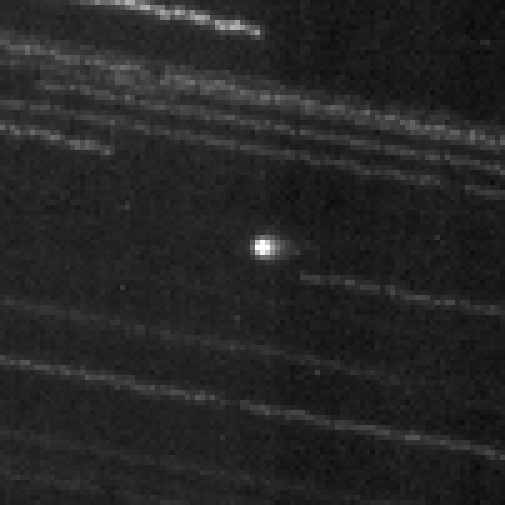 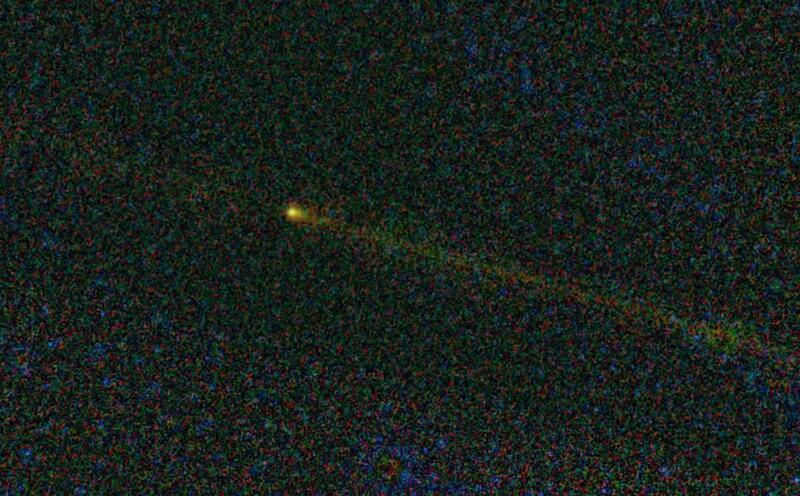 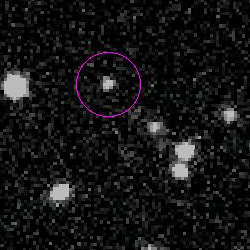 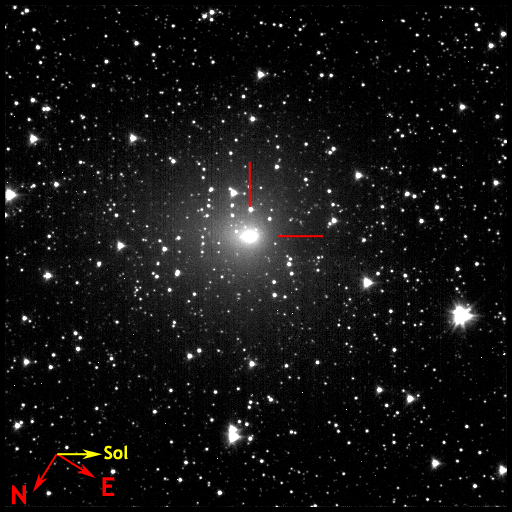 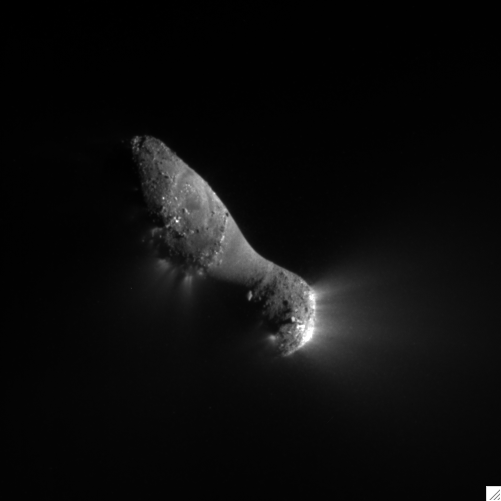 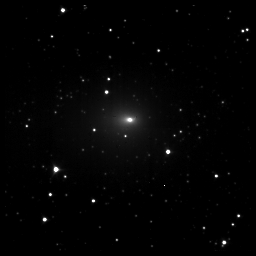 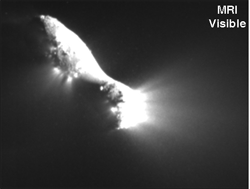 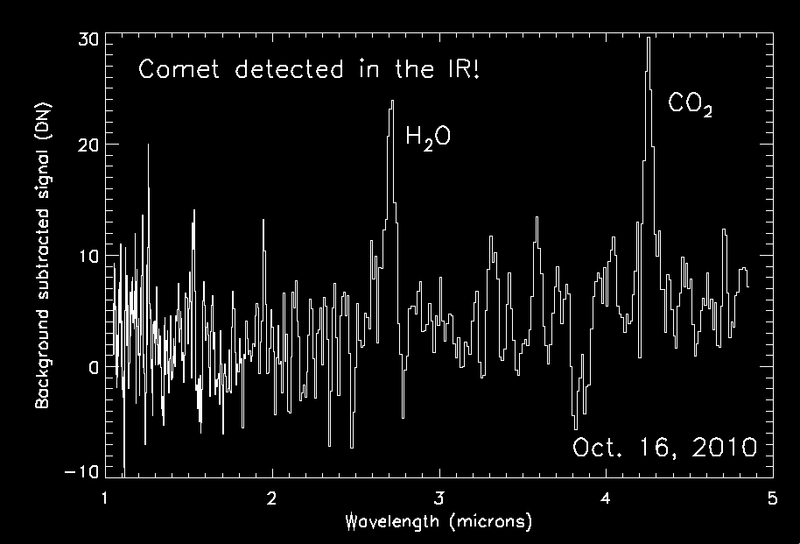 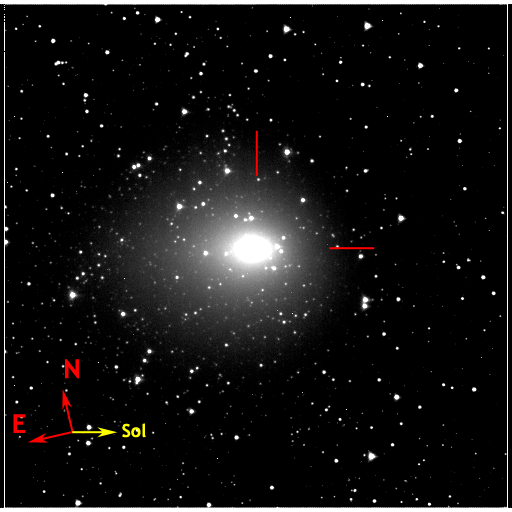 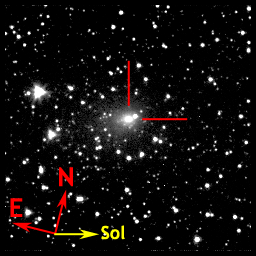 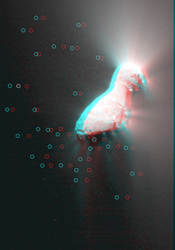 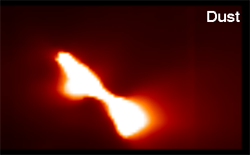 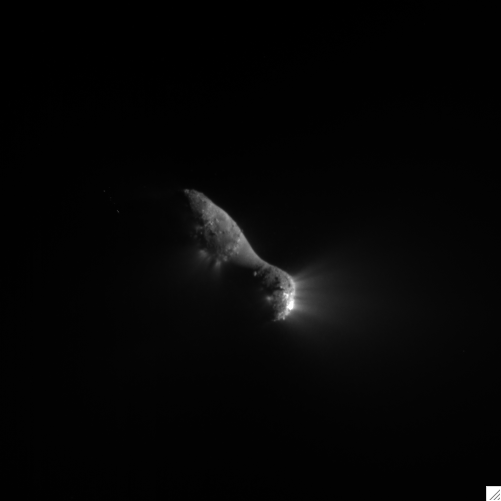 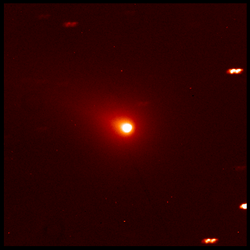 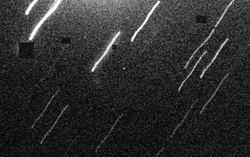 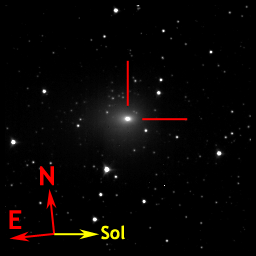 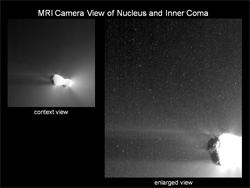 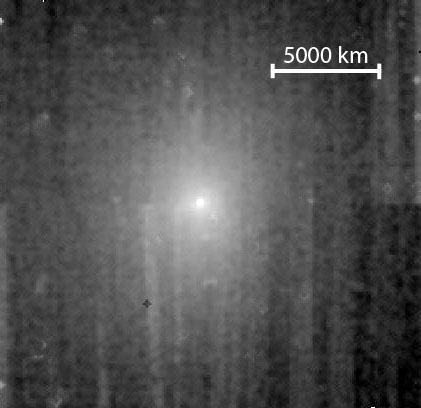 NASA's Deep Impact spacecraft has acquired its first images of comet C/2012 S1 (ISON). 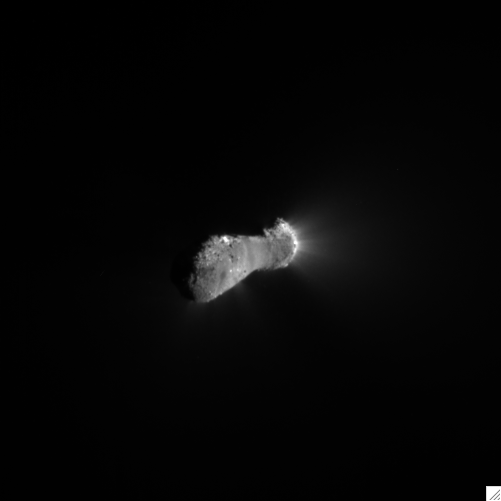 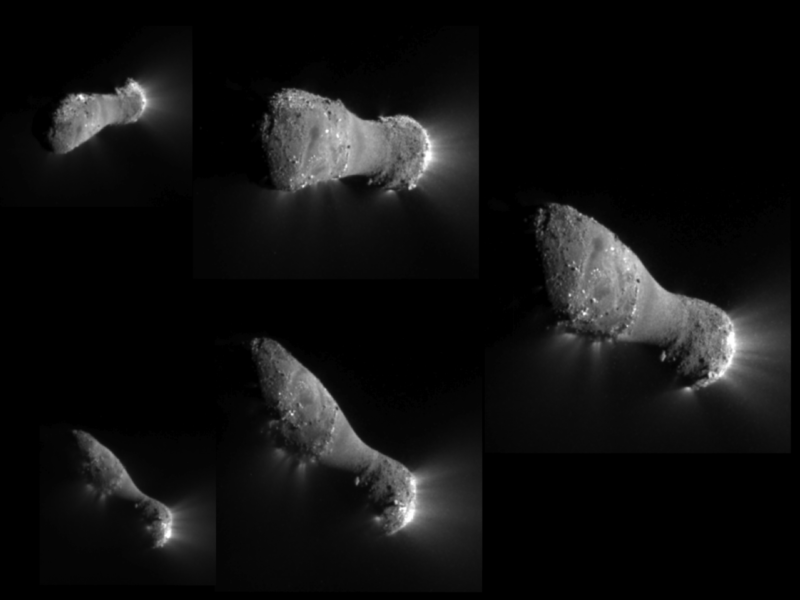 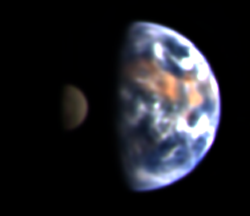 The images were taken by the spacecraft's Medium-Resolution Imager over a 36-hour period on Jan. 17 and 18, 2013, from a distance of 493 million miles (793 million kilometers). 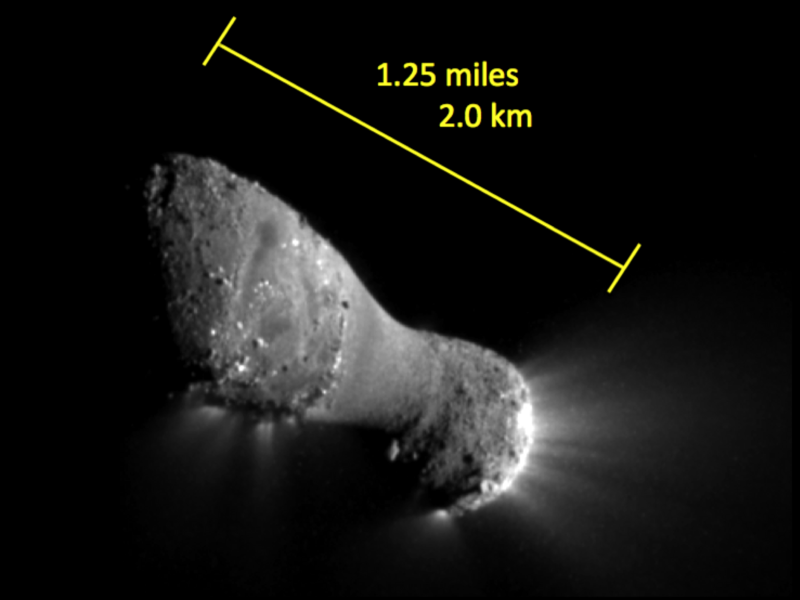 NASA's Deep Impact spacecraft completed a firing of its onboard rocket motors earlier today. 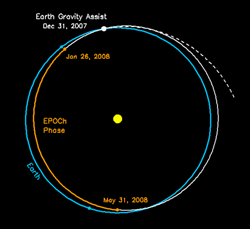 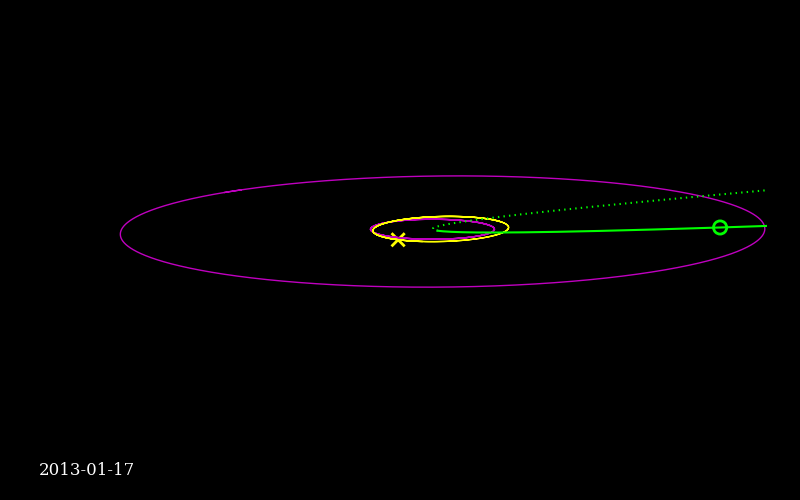 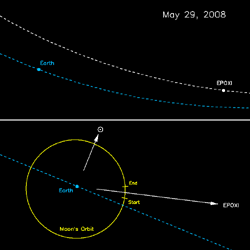 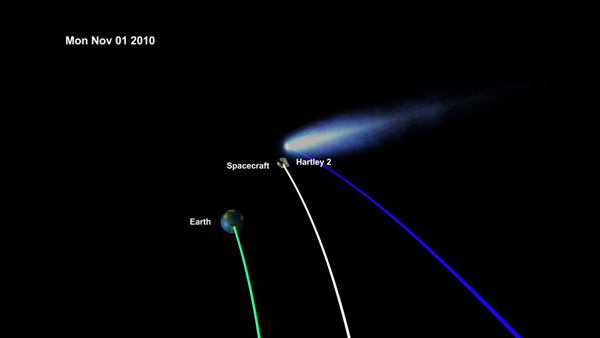 The maneuver began at 1 p.m. PDT (4 p.m. EDT), lasted 71 seconds, and changed its velocity by 4.5 mph (2 meters per second). 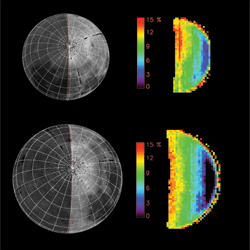 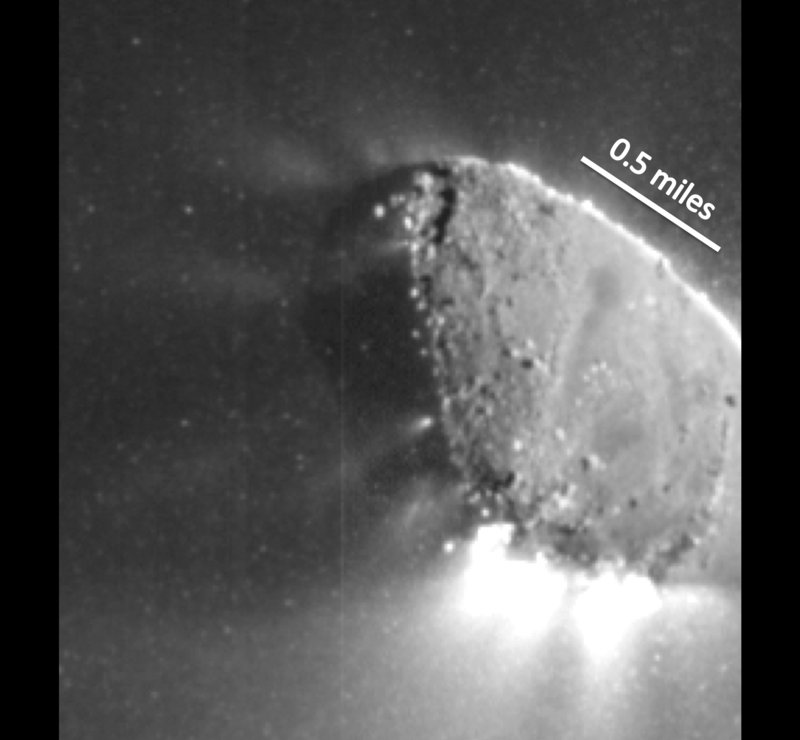 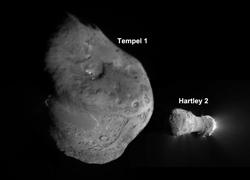 Images from the Deep Impact spacecraft. 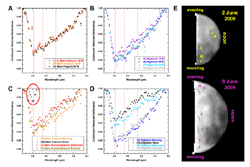 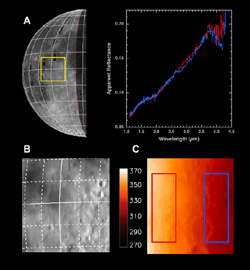 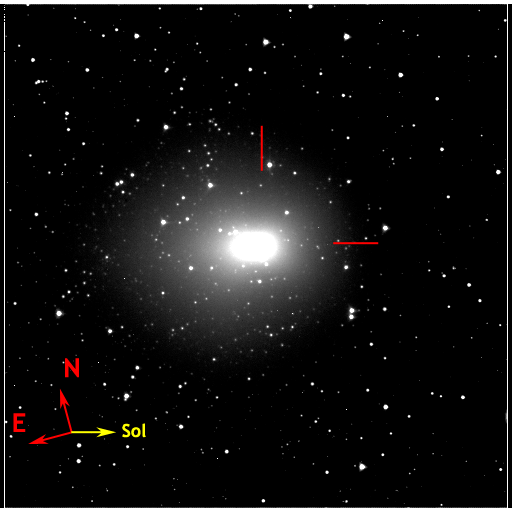 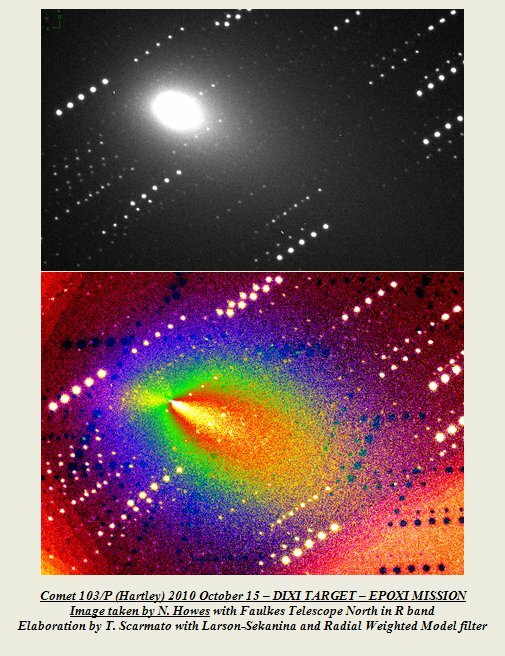 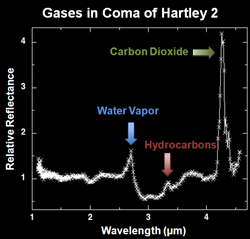 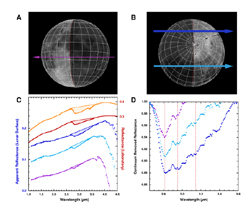 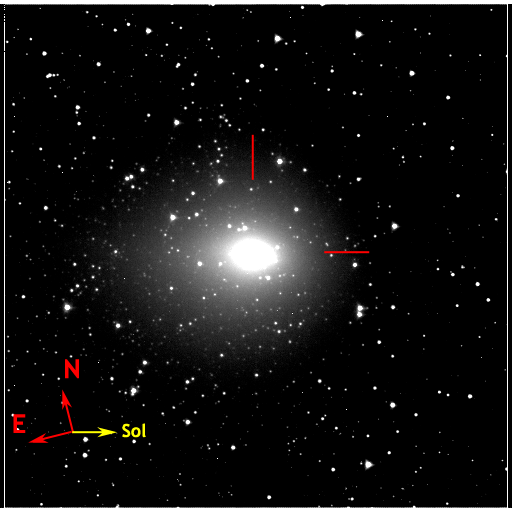 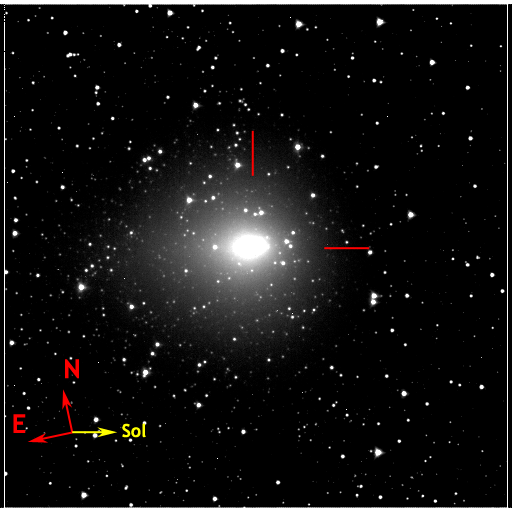 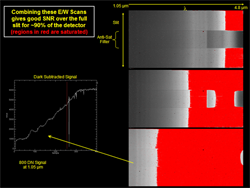 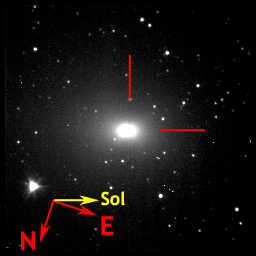 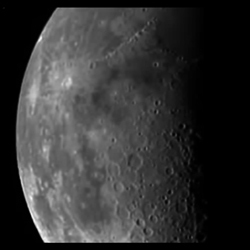 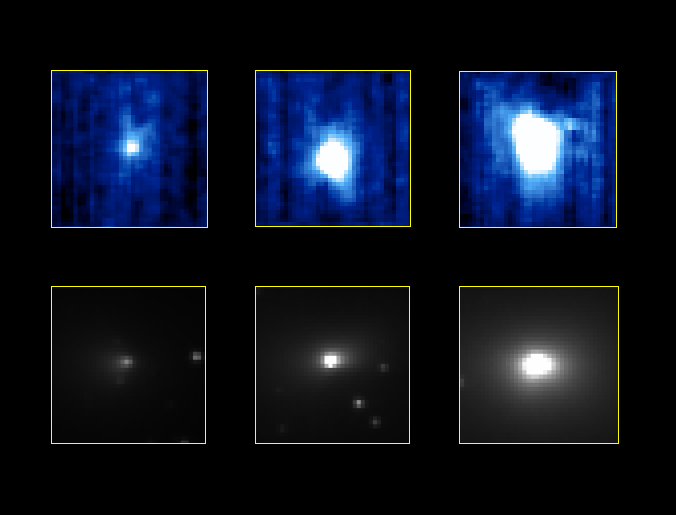 Images from professional ground- and space-based observatories. 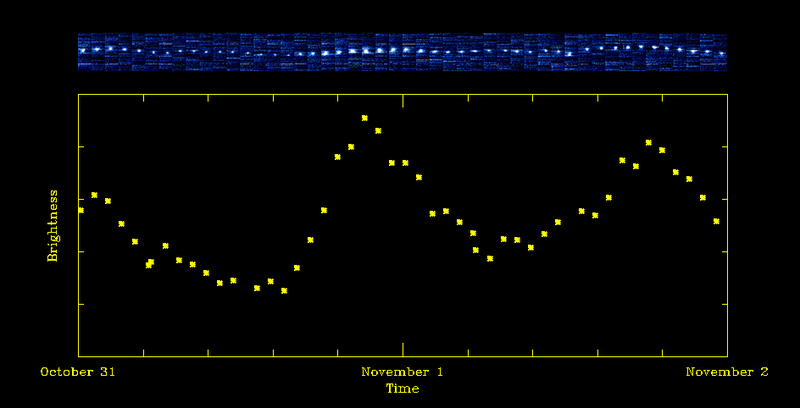 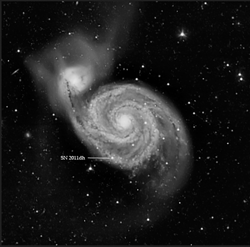 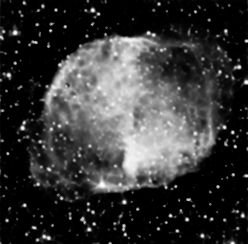 Images, sketches, etc from amateurs and private observatories. 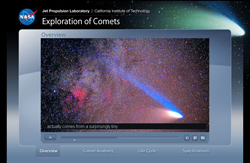 This interactive explores comets -- their anatomy, life cycle, and provides the specifications of some comets that have been and will be explored by NASA missions. 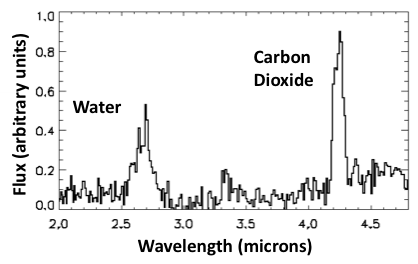 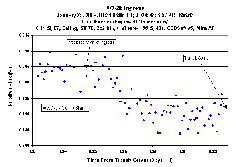 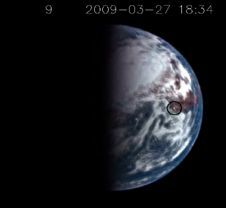 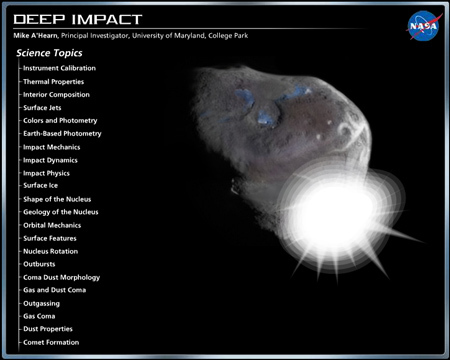 Deep Impact science team members have been analysing the results since 2005. 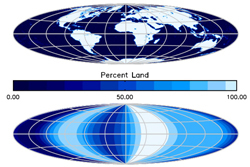 This animation summarizes some of the major results. 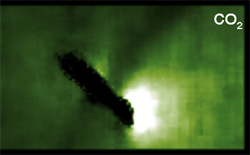 How do you find something if you can't see it? 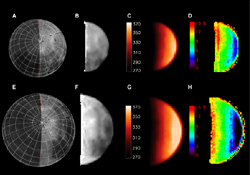 Here are some of the techniques used by scientists.